We’re excited to be partnering with Georgia Avenue Thrive and the Bruce Monroe @ Park View 5th Graders to sponsor our 4th Annual Earth Day Beautification and Neighborhood Cleanup! 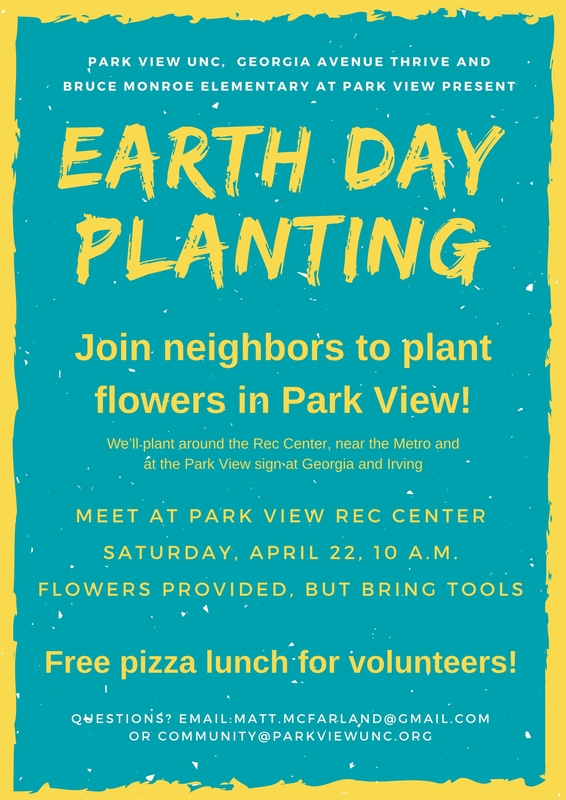 We’ll be planting summer flowers at the rec center, the Park View sign at Irving and Georgia and in the tree boxes near the metro and fanning out across the neighborhood to pick up trash. Come spend your Earth Day acting locally with the UNC and Georgia Avenue Thrive! Meet at the Park View Rec Center at 10 AM. Bring small tools for planting, if you can. Snacks and a pizza lunch will be provided.